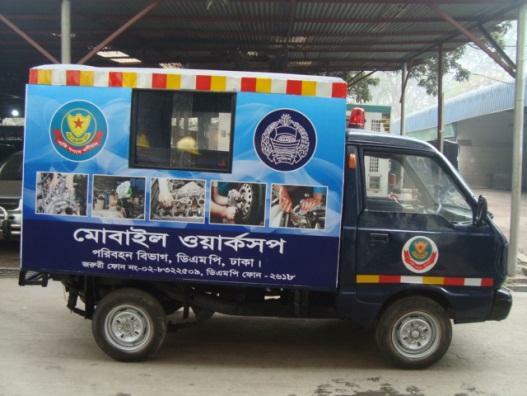 Central reserve office is an important section of Dhaka metropolitan police which has been started working at the time of establishing of Dhaka metropolitan police in 1976. Central Reserve Office is directly connected with commissioner of Dhaka metropolitan police. It is under Headquarter and Admin division. It’s main Object is to serve the police person better as all as ensure unique and fair process. CRO unite is mainly service base orientation organization. All matters relating to appointment, departmental examination, promotion, transfer, reward, welfare, pays, pension, service records room of personnel to the rank of Constable to Inspector. Ensure smooth functioning of the Central Reserve Office of all Division. All matters relating to appointment,RAL/PAL, promotion, transfer, reward, welfare, service records room of Inspector. 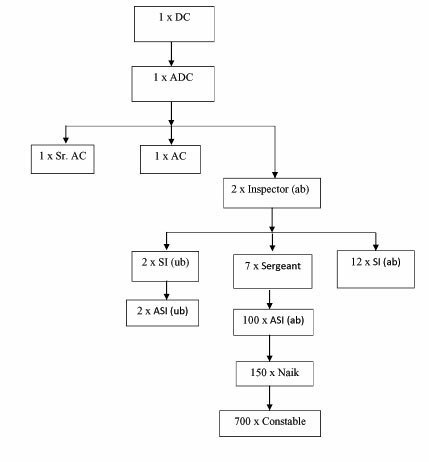 All matters relating to appointment, RAL/PAL, promotion, transfer, reward, welfare and rank confirmation of the personnel to the rank of ASI/SI/SARGENT/TSI. Taking the examination for selecting FPU mission. All matters relating to appointment, departmental examination, promotion, transfer, reward, welfare and rank confirmation of the personnel to the rank of Constable, nayek, atsi and asi (ab). 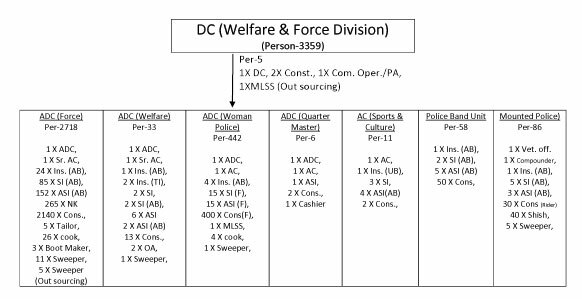 All matters relating to pays of personnel to the rank of Constable to asi and personnel of PRL. All matters relating to leave , pay fixation of personnel to the rank of Constable to asi, personnel of PRL and giving the decision of the personnel who delays to join in DMP. All matters relating to order of commissioner of Dhaka metropolitan police write down in service book of the personnel to the rank of constable to Inspector and also sent the service book to transferring districts/ units and divisions. All matters relating to the joining prose’s of discharge personnel. All matters relating giving memo number and receiving of all CRO related letters. Receive of summon and sent to the investigation officer of case and witness. All process of PRL all personnel of Dhaka metropolitan Police. Terrorism and terrorist activities is a global problem and threat to all nations directly or indirectly irrespective of religion, race, culture or geo-location. The Government of Bangladesh (GOB), over the years, has demonstrated strong will and made relentless efforts in preventing the terrorist groups from operating in Bangladesh. Despite of having government’s strong position against terrorism, some extremist religious groups have shown their presence in Bangladesh. In this circumstance, a dedicated specialized unit under Bangladesh Police is inevitable to counter all sorts of terrorism. “Counter Terrorism and Transnational Crime” unit under Dhaka Metropolitan Police has started intelligence-led proactive investigation in terrorism and transnational crime, arrest criminals, collect criminal intelligence and keep the terror suspects under surveillance and finally stop such activities with the help of people. Preventing terrorist attack through intel-led policing. Retarding individuals from becoming or supporting terrorists. Ensuring professional investigation of terrorist incidents, cyber crime and transnational organized crimes. Though Counter Terrorism and Transnational Crime unit is formed under Dhaka Metropolitan Police, this unit will assist other units regarding above mentioned issues in terms of providing intelligence, terror suspect surveillance and related matters. 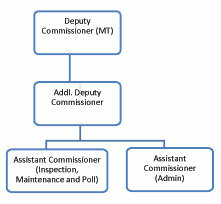 Organogram of Diplomatic Security Division, DMP, Dhaka. To provide security of diplomats, their offices and residences. To assist the diplomatic missions to get legal assistance. Providing security to the diplomatic missions is the prime responsibility of diplomatic security division. Providing escorts to the diplomats within Dhaka Metropolitan area. Ensuring diplomatic security division police line force’s welfare and discipline. Making Co-ordination with other units of police department to serve the purpose of diplomats. To perform the duty of preparing the proposed of the acquisition of new land and other duties recoating to send the proposal and land acquisition. To maintain the land, that belong to DMP such as to pay regular take and to make that free from grabbing. To initiate the recovery of land of DMP which is illegally occupies by others and other necessary actions such as to conduct the suit, deployed of lowers, etc. To take the initiative such as filling of land, identifying of boundary, building of boundary wall etc in order to develop the land of DMP. To take the initiative of allotting land by communicating with related authority for the purpose of preserving land in order to establish police station, police out-post if possible regional police lines in government and non-government residential project such as RAJUK and others private housing project. To take the initiative for the implementation of construction plan and for doing it allotment of budget preparation of design, approval of design and other works. To take the action for repairing establishment and buildings. To supervise the projects which are under construction by PWD under the supervision of PHQ. To take the necessary action such as connection of water line, electric line, gas line, sewerage management, drain away of water for the regular maintenance of establishments building under the control of DMP. To action for the repayment of electric fan, meter of electricity/water, door windows floors, walls, toilet/ kitchen fittings etc of office, barrack, and residential buildings. To take the initiative of allotting new quarter. 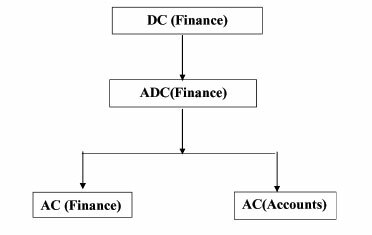 To take the action of voiding the allotting quarter after its duration. To take initiative of evicting from the quarter by the order of authority the new allotment is ruled. To take the possession/handover of quarter with govt. 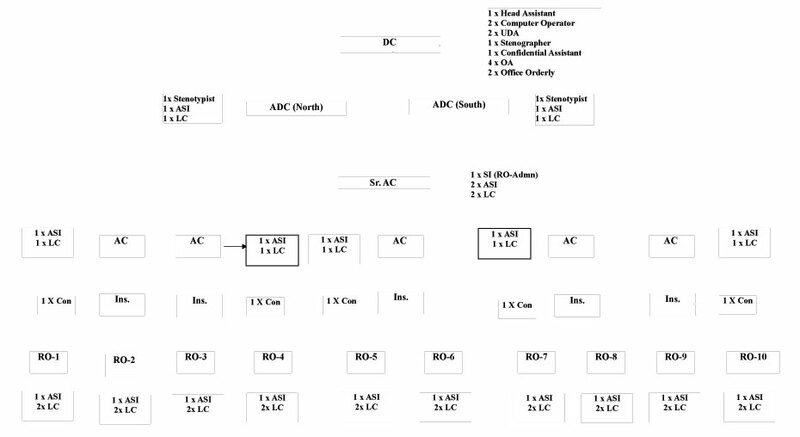 properties/goods to the new allotted. Ensuring pay risk allowance/ ration allowance/leave etc of the E&D division of DMP. Ensuring the service book and various order of the E&D division of DMP. To take immediate and emergency action in emergency connection of current gas and water, repairing sewerage system, lift, generator and small repairment of building and land under the control of DMP. To maintain regular communication with organization like WASA, DPDC, Titas gas, DCC, RAJUK, land office etc for the assistance of the work. To monitor with the help of sight inspection of the under construction work which is constructed under police Headquarters centrally or under DMP departmentally. To monitor regularly to the department work. Repairment of Rajarbag police lines field, gallery and related other building, office and roods etc for the purpose of police weak. Regular inspection of construction and utility of DMP’s various office, Thana and police out-post. To perform the delegated duty under the provision of High-rise tower building code which is giver by police Headquarters. Immediate plastering repairment of various buildings for the various national day. To execute any other duties time to time assigned by DMP Commissioner and other senior officers. To act as a chief of building committee to initiate various activities assigned by PHQ. To perform for the development of E&D division of DMP and to execute other duties. To participate meetings in PHQ, SB, CID, APBN and other official meeting outside police and inform the decision of those meetings to the police commissioner and execute those decisions. To ensure a smooth & transparent financial management system throughout all divisions of DMP through proper monitoring of the entire financial Transactions & purchases in line with standard government rules & regulations. To formulate an effective & benevolent budget for DMP keeping in mind the requirements of different divisions & the welfare of the people. To eliminate all hassles & simplify the process of getting pay bills & other miscellaneous bills for the employees of DMP through proper coordination with the AG office. To monitor and ensure the government financial rules and regulations of Bangladesh are being practiced in all purchases & financial transactions of DMP. To prepare operational and non operational annual budget for DMP. To organize and make arrangement for online salary and allowances preparation and distribution through the bank accounts of the non gazetted police and civil staffs. To prepare bills such as salary, dues, timescale, increment, arrear, balance, supplementary bills, pay bill, GPF, LPC, house building advance, car loan advance., rest & recreation, festival bonuses, land tax, municipal tax, electricity bill, gas bill,water bill, office rent, rewards, kit allowances, risk allowances, TA/DA, miscellaneous etc. & dispatch them to concerned offices. To perform tasks related to sending LPC (Non gazetted) & other financial tasks of all the police/ civil employees of DMP transferred to other units. 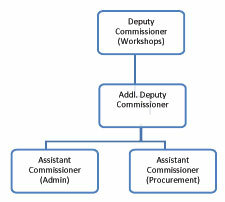 To play assigned role in all purchase committee of various sectors including supply & service sectors of DMP. To ensure the safety of all current checks & cash memo. To supervise the application of all financial rules & regulations in case of all purchases & expenditure of DMP. To ensure the smooth distribution of salary & other allowances through bank. To support the yearly audit done by the auditor general to ensure the proper financial management. To Support DMP’s organizational goals and objectives. To Manage the procurement process and the supply chain efficiently and effectively. To plan and co-ordinate all activities necessary to achieve desired levels of delivered service and quality at lowest possible cost. To offer best service to the members of DMP. To fulfill customer demand through efficient resource management. To maintain transparency in procurement and distribution. To purchase, procure and supply different goods and services as per PPR (2008). To select contractors/suppliers as per PPR (2008). To prepare the Annual Procurement Plan (APP). To prepare budget for meeting up the expenses regarding procurement of ration items, equipments and stationeries, sewing uniform and other expenses. To ensure procurement and supply of goods and services demanded by different units of DMP. To verify the market price of the procured items effectively. To distribute ration items among police personnel, NSI/ACC members and wounded freedom fighters. To distribute uniform among police personnel ranked from constable to SI. To supply food and medicines for the horses and canine squad. To collect arms and ammunitions, gas guns, non control items etc. from IGP reserve store and to supply those among different units of DMP. To arrange annual shooting and musketry practice sessions for DMP officers. 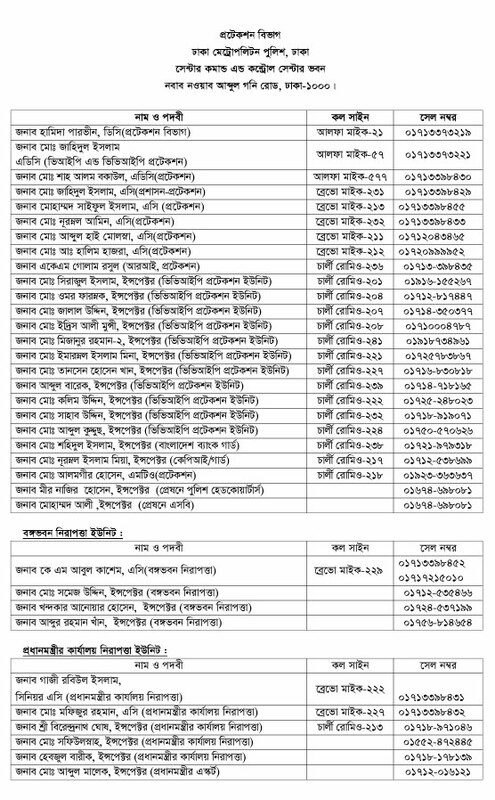 To co-ordinate in different national/social/cultural programs/seminars arranged by DMP/Bangladesh Police. To monitor the wireless communication and the issuance/rejection/effectiveness of the wireless sets used by DMP Officers. To ensure the co-ordination and management of the DMP phones, BTCL phones, mobile phones, satellite phones, fax communication and wireless communication made by DMP. 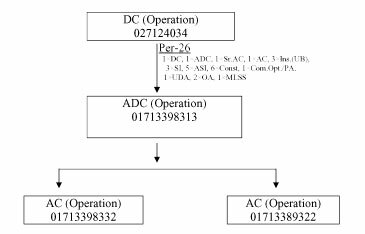 To plan and manage the effective use of IT by DMP and the connection and expansion of the area of IT. To respond immediately to customers’ demand regarding repair and maintenance of resources. 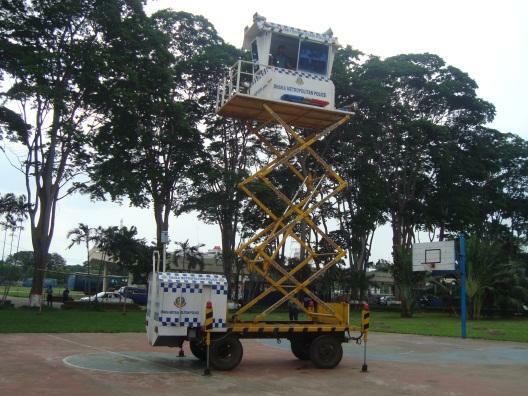 To set up and maintenance of CCTv cameras in different public places of Dhaka city. To ensure different types of services demanded by the client(s). To ensure right/effective use of resources. To make DMP paperless office. Installation and maintenance the Local Area Network(LAN) and WAN (Wide area network) of all units in DMP. Take care of all parts of Hardware such as Desktop Computer, Laptop, Server, Network Switch, Router, Video Wall, Traffic POS Devices, Video Surveillance Devices and other devices. Monitoring all the CCTV which are running at all police stations and other units in DMP . As per DMP requirement database development and ensure the data entry. To make the DMP personnel ICT literate. SIVS system- Store Suspect identification and verification information. Mail Server-Send and receive official letters. CCTV installation and monitoring in various program. Now DMP has around 931 Nos. 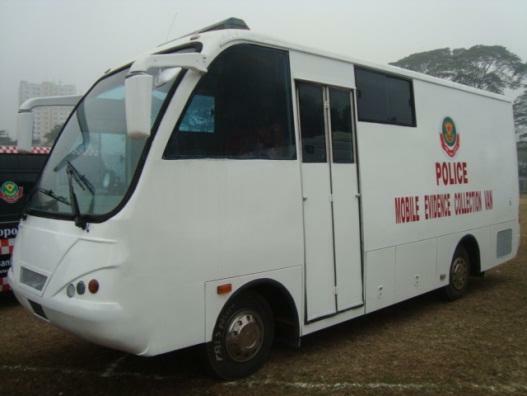 of various types of vehicles which are allotted to Special Units such as POM, DB, Telecommunication, Counter terrorism etc. MT Office of each unit is handling the keeping of vehicles and its registers allotted to this Units. MT division of DMP has strength of 1646 No. of Drivers to operate the vehicles allotted to Police Department. 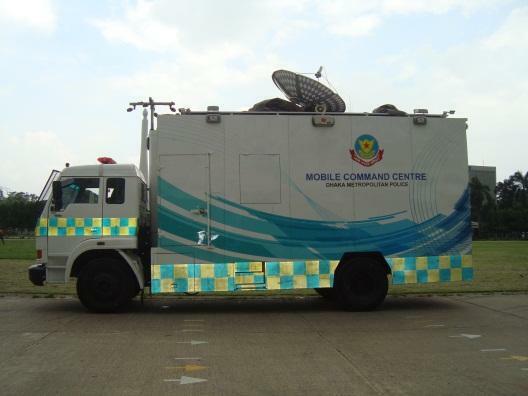 DMP has Special purpose vehicles such as APC, Water Cannon, and Mobile Command center vehicles for riot control duties, Security Van for the transportation of prisoners, Ambulances, Water Tanker, Bulldozer, Wrecker and Mobile Evidence Van are used for various duties. DMP has 5 Nos. of various types of Boats. These Boats are performing duty at river side Police Stations which are stationed at important points for movement of police personnel on duty in water logged areas. Regular training session is organized to provide training to officers, technicians and drivers. This training room is equipped with modern driving simulator for greater efficiency and better performance. Driving simulators are used in training of driver’s education courses to monitor driver behavior, performance, and attention. Passenger capacity is 3 passenger including two mechanics and carries essential equipment such as battery charger, tools box, glass, tire tube, electric wire, wheel range, plug, self-starter etc. 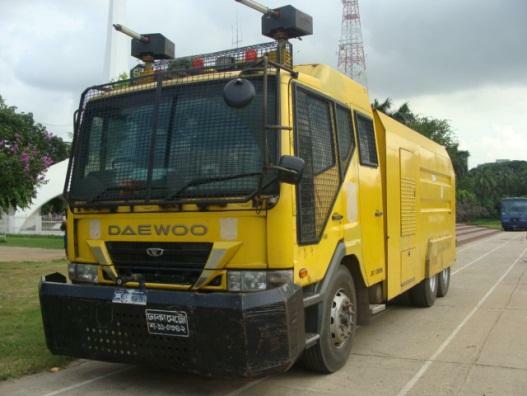 It plays vital role to provide instant support for repairing the DMP vehicles which fall in trouble in road. 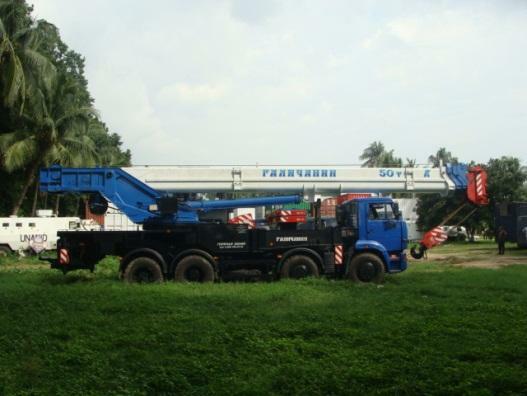 Truck mounted crane is an integration of chassis and crane, composed of boom, turntable, frame, support leg, and other components. Its mechanical action is realized through the action of luffing, telescoping, slewing, winching, and other mechanisms. The crane can be operated unilaterally or bidirectional (left and right). The slewing speed and lifting speed can be adjusted via the hand throttle. It is widely used to clear road block by pulling the damage car from road accident places. It is equipped with modern tools and used to collect evidence from place of occurrence or crime scene. Lightweight, Adjustable Composite Shelving to house supplied Evidence Collection Field Kits and Existing Department Equipment. Durable, Non Porous Interior is easily cleaned to prevent contamination of Evidence. This unique vehicle has been made by own technology. The height of tower is 33ft. It stands on four tires and also attaches four hydraulic legs to strengthen the base structure. Powerful Close circuit camera , search light and pager system has incorporated so that captured image and video can be send to control room for public order management. 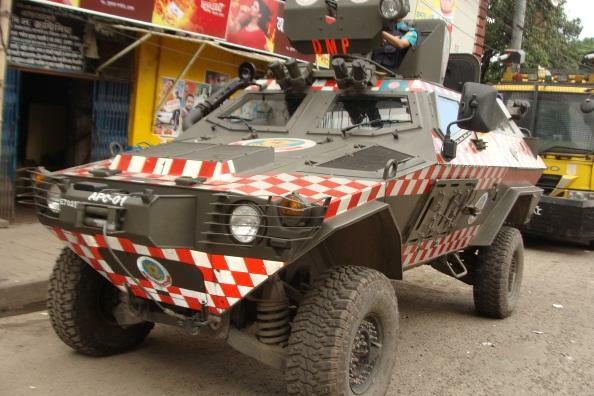 The Cobra armored personnel carrier was developed by Turkish Otokar company which uses a Land Rover chassis. The Otokar Cobra is an amphibious armored vehicle, which can be adapted for various roles and mission requirements. United Nations also obtained some of these armored vehicles for peacekeeping operations. The Cobra provides protection against 7.62-mm ball rounds and artillery shell splinters. Add-on armor can be fitted to provide protection against 7.62-mm armor-piercing rounds. Vehicle also provides a certain degree of protection against land mines and side explosives. A wide range of weapons can be mounted on the roof, including remotely operated 7.62-mm or 12.7-mm machine guns, 40-mm grenade launchers or cannons up to 30-mm caliber. Collection of necessary and relevant intelligence/information and conduct a threat assessment. Supervising on going operations conducted at police stations of DMP. Taking necessary steps to provide manpower and logistics keeping a coordination with Headquarters, (Public order Management) POM and Logistics units. Coordinating among crime divisions if more than one crime divisions are concerned. Giving operational command on behalf of the Commissioner, Additional Commissioner and Joint Commissioner after having been instructed. Always remaining active and open to receive intelligence/information. Disseminating intelligence/information amongst concerned officers. Keeping contact with the intelligence agencies to formulate security plan for national program and mega events. There are 260 posts of technically qualified Police Personnel (Mechanic, Fitter, Electrician, Painter, Welder, etc.) to carry out repair and maintenance works of various types vehicles .Workshop unit has 23 sections for performing different task. Currently two sections is added which increases functionality of workshop. The new sections are radiator and bumper repairing section which enables to prepare new radiator and bumper according to requirements. With 266 employees, workshop provides a full range maintenance and repair operations, along with Petrol Section, Diesel section, Electric section, Denting section, Painting section, Motor cycle section, Wiring section, Battery section, Servicing section, AC section, Pump section, Lathe section, Tailoring section, Tire section etc. To perform works regarding complain against vehicle, to provide necessary parts of vehicles. Coordinating with Motor transport unit. Regular training session is organized to provide training to officers and technicians. This training session is conducted to develop theoretical knowledge and practical application regarding automobiles for better performance. Trained and skilled technicians get privilege to participate UN mission. To ensure proper welfare and advantages for the forces. To co-operate to control law & order by joining with crime divisions. To Provide all bodyguard (Close Protection) duty and Provide forces (if Necessaries) to all divisions of DMP and Police Headquarters. Response to any emergency situation within jurisdiction. Patrolling for safeness of citizens. Maintaining order during riots or protests & Strike (Hartal) etc. To maintain and Co-operate for arranging of Maximum programmers of Bangladesh Police and DMP, Dhaka. 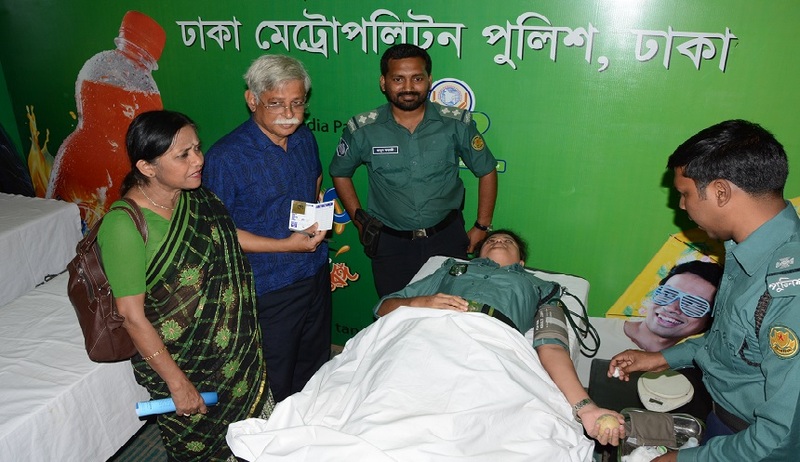 Women Support & Investigation Division is a groundbreaking initiative of DMP and Bangladesh Police as well to address the issues of rampant violence against Women and Children in Bangladesh. It started its Journey as Victim Support Center on 17th February, 2009 with the Support of the Police Reform Programme and the collaboration of ten partner NGOs. From July 2011, an investigation unit and quick response teams were established and started working under this division. 1. Ain O Shalish Kendra. 8. Bangladesh Legal Aid and Services Trust. This division started its journey with a broader aspect to ensure a women friendly environment by Providing safety, security, greater well-being, compassionate care and unconditional support to the most vulnerable group in a gender sensitized policing system. Women Support & Investigation Division is always striving to enhance – establish – better social system, ensure greater empowerment, security and total welfare of women in Dhaka Metropolitan area. This unit is enhancing accessibility to report crimes against women and children- protecting legal rights to those victims. To play an effective role in safeguarding victims. To combine efforts of both GO and NGO. To protect the victim from repeat victimization. To frame effective policy guidelines on prevention of crime. To preserve information on crime against women and children. From 2009 to May 2016 this center rendered services to 4008 victims very professionally and successfully. Providing legal assistance to the women & children who are repressed and harassed. Making the investigation of women & children cases more effective by creating awareness of related laws among women & children who are harassed. To coordinate and assist in investigation of women and children related cases in all crime divisions of DMP. Since 2011 this division has investigated 1593 cases and 102 cases are under investigation. Provide guidance to complainants through help line. Quick response to the place of occurrence and provide assistance. Rescue victims in emergency cases. Four (4) teams now working rotationally headed by one Sub-inspector. This unit has a lot of praiseworthy and exceptional operations which makes the importance of this unit inevitable.